Dixon Pearce deeded to John Kilercas 200 acres located South of Little River. This represents part of a tract that was granted to Windsor Pearce Apr 13 1755 and sold to Dixon Pearce Oct 5 1757. Ordered that twelve of the following persons: Windsor Peirce, Jeffrey Beck, Christopher Monday, John Needham, John Williamson, John Needham, James Pittman, James Graves, Ralph Hinwelt, Charles Strange, Solomon Morgain, John Purslay, Peter Funcanon, William Searcey, Henry Smith, Adam Andrews, John Garner, John Lawrence and Jno. Rodes meet and lay out a road from Rowan line opposite Fraziers Road to the best and nearest road leading to cross creek. Windsor Pearce listed as a neighbor and witness on a Deed from William Reade Senr. to his son, Arthur Read for 150 acres located North of Deep River. Windsor and Mary Pearce deeded to Ransom Southerland 100 acres located South of Deep River. Originally part of 640 acres granted to William Searcy Jun 9 1761 and deeded from Searcy to Mary Pearce. William Searcy Senr. deeded to Ransom Southerland 37.25 acres located South of Deep River adjoining Mary Pearce. Originally part of 640 acres granted to William Searcy Jun 9 1761. Windsor Pearce listed as a neighbor and witness on a Deed from William Searcy Senr. to Ransom Southerland for 75.75 acres located South of Deep River. William Smith of Johnston County deeded John Smith of Johnston County 100 acres located South of Little River. Part of the land that was taken up by John Pearce and conveyed by him to Windsor Pearce and from Windsor Pearce to Edmund Smith and from Edmund Smith to William Smith. 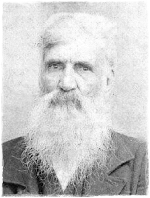 Ransom Sutherland of Granville County deeded William Bowden of Granville County 100 acres located South of Deep River adjoining Pearces Creek and Reads Island. Tract was conveyed by William Searcy, Dec'd. to his daughter Mary Pierce Dec 1, 1764. Deed also includes a 27.5 acre tract located in the middle of Reads Island and a 75.75 acre tract located on the Great Road and adjoining Winsor Perce. Both were conveyed from William Searcy to his daughter Mary Pierce. Winsor Pearce listed as a witness to a Deed from William Searcy to Nicholas Nall of Moore County for 160 acres located on Deep River and Fork Creek. This land was conveyed to William Searcy by his father William Searcy, Sr.
Windsor Pearse of Randolph County, NC deeded 200 acres to William Bennett of Marlboro County, SC located on Crooked Creek in Cheraw District. Winsor Pearce listed as a witness to a Deed from Charity Andrews, Roger & Catherine Cagle, Elizabeth Curtis, David Andrews and Eve Andrews to William Armstead for 100 acres located North of Fork Creek and the Mouth of Rock Creek. This land is part of the tract granted to Adam Andrews, decd. And left by will to the heirs of Conrad Andrews. Estate of Windsor Pearce deeded Alfed Lowdermilk 250 acres located on Deep River. *The deed mentions petition of William Pearce & others v. the heirs of Pherebe Moore. [S1081] Todd Dorsett [tadorsett@comcast.net], 05 Jun 2010. I am descended from Windsor Pearce, and joined the Sons of the American Revolution a number of years ago by virtue of descent from him. If anyone needs the documentation to join an hereditary society as a descendant of Windsor Pearce, I have the papers. Dixon Pearce owned, and apparently lived, in the same vicinity. And there is a military roster from SC which lists Dixon and Thomas Pearce, presumably brothers, whose ages make them very likely brothers of Windsor. I believe they were born in the 1730s, and the record states that they were natives of Virginia. I also believe that Windsor was a brother to Thomas and Dixon Pearce, of SC, and that they might have been sons of Thomas Pearce and his wife, nee Martha Dixon, of Isle of Wight county, VA. I think that the father Thomas was in turn the son of Philip Pearce, of IOW county, and that Philip was the son of George Pierce, who had large land holdings in IOW county in the XVII century, and was perhaps an immigrant. One of the problems we in the Windsor line face is that there are no male Pearces left to do a DNA sampling. As for son William: He has always been a mystery. He's like the invisible generation between two very visible ones. I tend to believe the version that William was older, born around 1765, and that he and his first wife, assuming he was married twice, had no surviving issue. The documents pertaining to the estate settlements clearly shows that William left only Jane, Margaret, Mary, Reuben, and Thomas; therefore, if he had had any children to a first wife, they died without issue. The estate papers also indicate that Windsor left surviving him only Mary Spinks, Pharabee Moore, Olive, Keziah, and William. NOW....some researchers seem convinced that Reuben Pearce, of Clarke county, Alabama, was Windsor's son. This would certainly make sense. Reuben is a Searcy name; the one in AL died before Windsor died; and AL Reuben appears to have been childless. So...it is conceivable that when the pleadings regarding the estate of Windsor Pearce were draughted, the scribe deemed it unnecessary to mention Reuben. (Today they would mention him just to set the record straight that his line is extinct.) BUT if Reuben were Windsor's other son, then that would explain the male you discuss from the Census records, living with Windsor.